mY jOurney frOm schOOl wOrld to the ReaL wOrld..
Manisha Nighoskar who is currently working in a Reputed BPO as a Senior Associate & Team Lead and also a Teacher by profession. sadness and other emotions, or even feel affection for , we all can find in our school time. My first school was Universal High School in Goregaon where I did my Jr. and Sr. KG. It was all fun and frolic for me there. I belonged was called the ‘Tapoori group’. Manisha: When I was appearing for my X exams I used to sit late at night to study. Once I was studying and had a pencil in my hand and i just colored the toe nail of my dad who was fast asleep. Next day I forgot about it. My dad took his bath and all of a sudden he noticed that his toe nail had turned completely black. My dad got so afraid that he felt that blood had clotted in his nail and he started imagining all sorts of ailments . I was not aware of these ongoings until my Mom told me as to what had happened. Then I realized what I had done the previous night and told my dad about it and then you can imagine how he must have scolded me. Manisha:. Karma is what is in your hands and Kismat well I have no control over it so why bother. I believe in giving 100% to any kind of work given to me and well it does pay if done with sincerity. 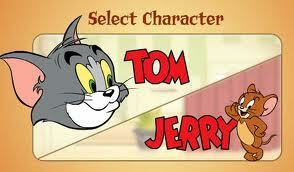 Manisha:.What else but Tom & Jerry and I still watch it and enjoy thoroughly. Manisha: Well in college there was this guy and he is still in touch with me who was infatuated and did all kinds of antics to impress me..
Manisha: My school days were more enjoyable than college since my dad was the vice principal of the college there were restrictions and all professors knew me personally so obviously there was no scope for Maza & Masti. During my college I also worked in a Charted Accountants firm which gave me ample knowledge and even helped me out in understanding Accounts as a subject. I am here working with reputed BPO as a Senior Associate & Team Lead….